How do you know if your pet comes from a puppy mill? Read this list of warning signs. Countless dogs are bred over and over again in puppy mills around the world, often in horrible conditions with no veterinary care. And when these dogs are no longer able to produce puppies for profit, their value disappears. They are discarded, auctioned off, killed or left for dead. 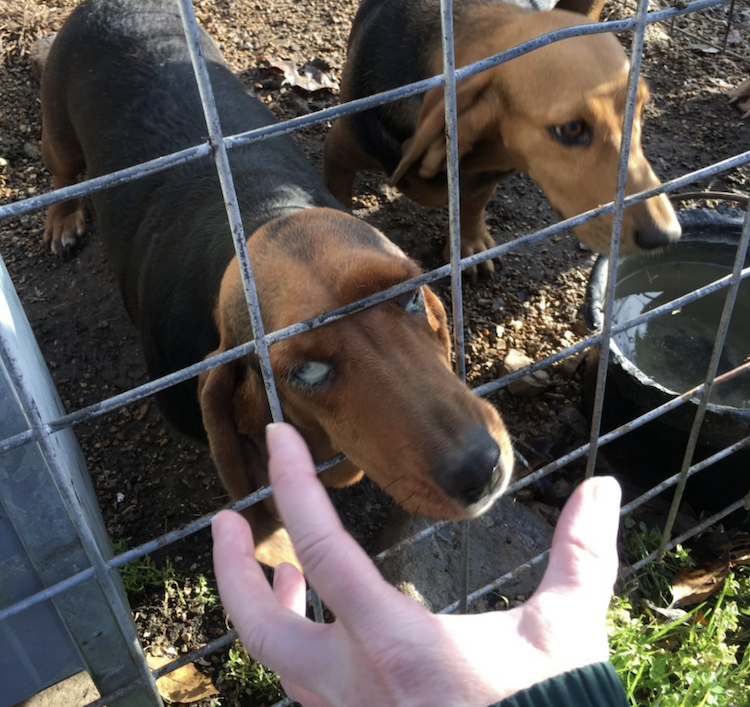 Those of us who are horrified by the conditions at puppy mills have seen a lot of good signs of progress over the past few years — stronger laws, more active opposition from animal organizations, public outcry for reform. But, sadly, puppy mills are still in operation. Buying from a store? Here’s the reality of those “discounted” puppies. Before we go any further, let’s first define what a puppy mill is. Let’s also define what a backyard breeder is. A puppy mill is a large-scale, commercial dog-breeding facility that operates solely for the profit of producing puppies for resale. Commercial puppy mills are in business to maximize profits — period. They have no concern for the well-being of the animals they use for breeding. Puppy mills are big, big business. As many as 10,000 unlicensed breeding operations exist in the United States. Here’s the really bad part: Puppy mill dogs are housed in terrible conditions. The dogs do not get adequate medical care, nutrition, housing, grooming, sanitation or socialization. Females are bred at every opportunity with no time to recover between litters. These dogs are dirty, malnourished and diseased. Some commercial dog operations have as many as 1,000 breeding dogs in production. Puppy mills sell their “products” to consumers through a variety of networks. Online sales, flea markets, newspaper and magazine ads are popular sources, but by far the biggest channel for puppy mills is retail pet stores. Like puppy mills, backyard breeders are also driven by profits, according to PAWS, a nonprofit animal welfare group. These mom-and-pop breeders “may appear to be the nice neighbor next door — in fact, even seemingly good-intentioned breeders may treat their breeding pairs as family pets,” PAWS says. An organization listed as a rescue is selling puppies in large numbers or always seems to have puppies available. Advertisements are constantly in the newspaper classifieds, on flyers passed out in public places, or on the internet to buy puppies from the same person or organization. Someone holds up a sign on the side of the road or camps out near a busy roadway trying to sell puppies. 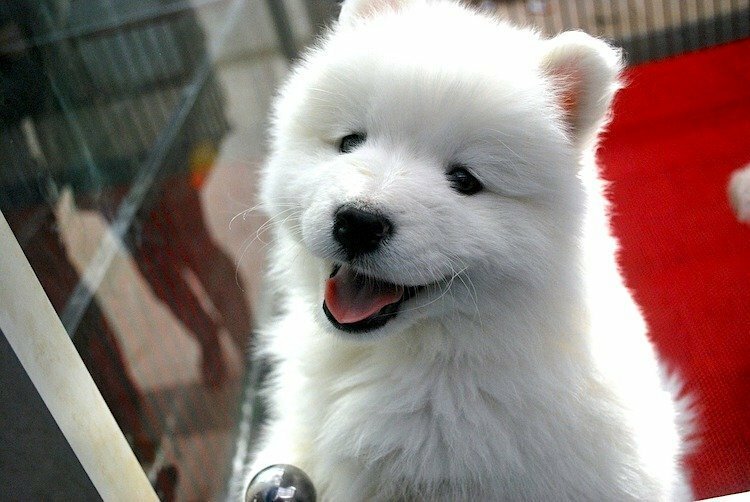 The person sells puppies at everyday events, such as garage sales or flea markets. You are not allowed to meet the breeding parents or view the home or business facility, or the seller wants to meet you in a public place to complete the sale. The person claims they are selling the puppies as an “agent” for a breeder. The puppies are offered for sale and delivery before they reach 8 weeks old. If the breeder lets you visit their home or breeding facility, then you’re one step closer to ensuring that your puppy is coming from a happy and safe environment. But don’t assume the offer is reason enough not to accept the invitation — obviously if the breeder is offering, they have nothing to hide, right? Wrong. A bad odor. Beware of an overuse of deodorizers or bleach to cover up the odor. Dirty or long coats on the dogs, as well as missing teeth, eye or nose discharge, overgrown nails, visible injuries or sores, patches of missing fur, or excessive scratching. Some of the animals appear aggressive, vicious, excessively shy or fearful. The cages or containment areas look more like a parking garage than comfortable accommodations. The animals don’t have enough room to turn around or stand on their hind legs, or they don’t have a clean sleeping area away from food and water. The animals are contained in an area with urine or feces (or both). The animals are not properly protected from the weather. Outdoor facilities should be climate controlled in areas with extreme heat or cold, and adequate shelter for all animals should be available. Look for small structures in disrepair or animals chained to fences, trees or stakes. You don’t see food or water for every animal, or the water is dirty. Some animals are very thin or overweight. The numbers don’t add up. If there are only 1–2 people at the location but dozens of dogs, it would seem impossible to think each dog gets proper care, exercise and socialization. Unless the staff work in shifts or have a system for individualized care, ask them to explain their process or check for other signs listed here. The breeding parents are not available or are kept offsite. So basically this site is where the puppies get dropped off every time the parents breed — which can also be a sign that the parents are kept in bad conditions or are being forced to breed with every heat cycle. There is only one female breeding. Forcing one dog to constantly breed at every heat cycle is cruel and can cause health concerns. The dogs are also more likely to be destroyed once they are no longer able to produce litters. The breeder can’t recall how many litters the female has produced. All of the animals appear to be sleeping or lethargic. When you’re at the facility, use your phone to take pictures of any of the above signs to document the conditions. Pro tip: Tell the breeder your husband or wife is “on a business trip” but that they wanted you to email them pictures of the puppies you liked so they could pick one. If the breeder says pictures aren’t allowed on site, this, too, is a red flag. If you watched the video above, you might also be interested in learning about Jake, a Cavalier King Charles Spaniel who spent 6 years at this same puppy mill. See Jake’s story here — and grab a few tissues first, because it’s a tear-jerker. 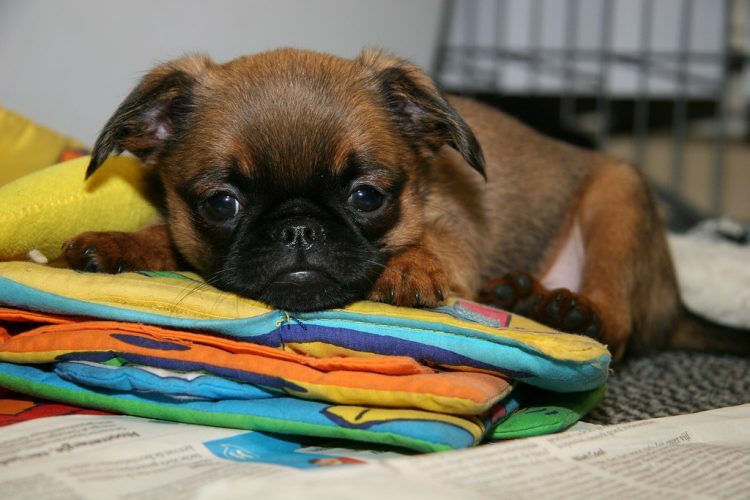 Many breeders use the term “papers” or “registered” to give the illusion of approval from a governing body of either the facility conditions or the type of breed. Many people also assume this provides evidence of the health of the puppies — that’s simply not true. Although the breeder may register the parents or grandparents of the puppies, the governing body usually doesn’t perform inspections or monitor the breeder’s operation. It’s just a piece of paper. Call, email or check online lists to see if the breeder is actually registered or if their privileges have been suspended. Your local animal shelter or humane society may be able to help determine if the organization is fake or untrustworthy. Beware of sellers of specific breeds that do not register with at least one of the breed’s parent organizations or cannot explain the breed standard. Reputable breeders of only one type of dog usually choose them for their love of the breed, their existing pets and/or a desire to preserve the breed for future generations. If the seller can’t answer these questions or why they chose the breed they did (or worse, they say it’s because they can sell the puppies for a lot of money), there’s an obvious problem. Responsible breeders who follow a breed standard are concerned about genetic health issues and will do screenings to ensure the puppies will be healthy. If they don’t screen the puppies, they should be able to offer health documentation about the parents. The breeder claims their registration is pending, or that the papers are not available at the time of purchase. The breeder doesn’t hold a license or registration with any reputable organization, local licensing bureau or the USDA (usually required for any breeder who sells to brokers or pet stores). The above lists provide thorough information to spot the signs of a puppy mill, but there are more considerations when it comes to paying for the puppy. If the seller shows signs of any of the above, it’s likely they will disappear as fast as the money leaves your hands. Always check the seller’s name or business name before agreeing to buy the puppy. With the stigma surrounding puppy mills, no breeder or pet store owner is going to admit to carrying puppy mill stock. Pet stores will tell customers that the puppies come from responsible breeders with the healthiest and happiest parents in the region. That sounds a lot better than admitting that the puppies were torn from their ailing mothers too early, thrown on a truck and shipped to the pet store with a big red bow and an even bigger price tag. The puppy trade is lucrative. And it’s even more profitable if the overhead costs — such as responsibly caring for the dogs — are cut drastically. Part 2: Buying From a Store? Here’s the Reality of Those “Discounted” Puppies. This section of the article was written by Dr. Debora Lichtenberg, VMD. My neighborhood is one of the greatest places on earth for me, particularly during the Christmas season. Instead of guarding my holiday spirit — and my sanity — I entered the store and asked about the puppies. Not that I was a serious buyer. It’s just that my curiosity got the best of me. I wanted to find out how exploitive the puppy mill industry had become since I’d last checked. The doggy in the window, a French Bulldog, was $4,000. And then there’s the $300 “Christmas discount,” mildly bringing the total down to $3,700. Next, I asked the clerk for some background information on the puppies. He couldn’t speak English very well, and he didn’t understand what I was asking. “Where do the puppies come from?” I asked. The clerk searched around for the paperwork. “M-O,” he said uncertainly. I’m not sure he knew that meant Missouri — sadly, it’s a disaster of a puppy mill state. I wandered around a bit and took in the sight of the rotating puppies in the window destroying their water bottle spigot. All the water dumped out on their heads and paws. I informed the clerks, and they got a new bottle ready immediately. But if I hadn’t said anything, who knew when those pups would get fresh water again? Bottom Line? Don’t Support These Stores. So, what is so sad about this story and hawking puppies at Christmas? Triggering anyone to buy a puppy as if they’re an expensive ornament on the tree is a nasty business. Please think long and hard before you buy a pup from a questionable pet store at any time of the year. These poor babies are from puppy mills — and your purchase is only supporting a sick business. Part 3: Buying a Puppy Online? Here’s What You Need to Know. Many of us are doing more and more shopping online. The same goes for puppy shopping. If you are interested in a specific breed of puppy, chances are you may not find a Havanese or a Brussels Griffon breeder in your area. When beginning your online search, think about how that puppy from a faraway state is going to reach your home. Personally, we would never buy a puppy sight unseen. An adult dog is sturdier than a puppy and will generally fair well if you and the airline follow proper safety guidelines. But a puppy is more fragile in both health and temperament. A terrifying airplane ride can create severe anxiety in a young puppy. Worse, flying a puppy in cargo is dangerous to their health and possibly their life. 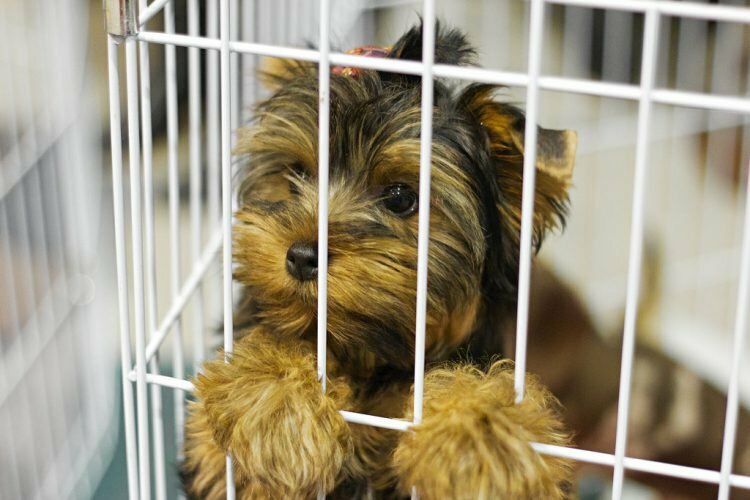 The risks, such as exposure to extreme temperatures and emotional trauma from being crated and isolated, should stop any prospective puppy purchaser or responsible breeder from this practice. Never trust an airline to take special care of a puppy on the tarmac. Airlines often fly dogs when the temperatures are too cold or too hot — and certain unscrupulous veterinarians working with breeders will actually write airline travel health certificates to allow for temps under 35 or over 75 degrees. These conditions are not safe, particularly for a puppy. Puppy mill breeders are savvy when it comes to misrepresentation. Puppy websites can show healthy little pups frolicking in a grassy space when they are actually in disgusting cages with pathetic, overbred moms. If you don’t make a personal visit but instead fly a pup to you unseen, you may get to the airport to find a pet not pictured, an unhealthy pet or no pet at all. Not visiting your pup and breeder before purchasing is worrisome on many levels. 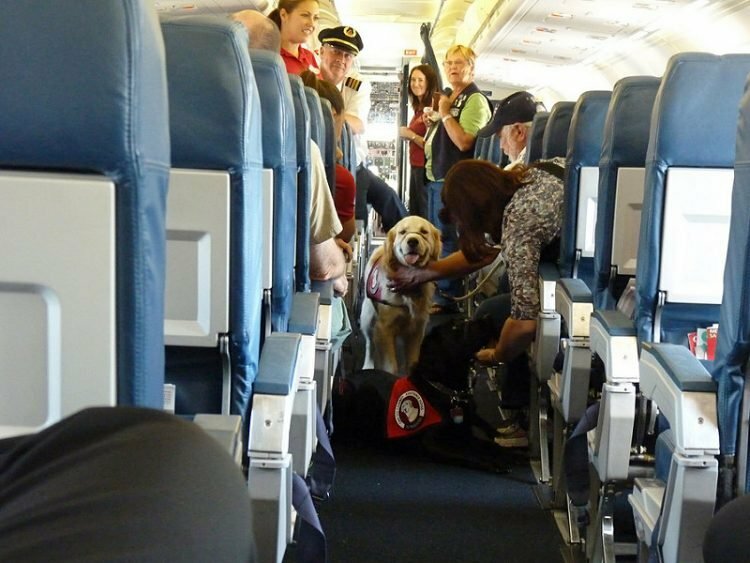 Some airlines have age and size restrictions, although many will fly a pup in cargo at 8 weeks of age. This is too young. Lungs are not always fully developed at such a young age, impairing oxygen intake, particularly in a stressful situation. The smaller the puppy, the higher the chance they can’t regulate their temperature or blood sugar. Hypoglycemia occurs when a puppy’s blood sugar falls well below 100, which can happen quickly. The hypoglycemic puppy becomes weak and may have a seizure if their blood sugar falls dangerously low. In the worst-case scenario, they die. Anything longer than a 3-hour flight poses a risk to a puppy. Remember — there is additional time before and after landing when that puppy would not be in the company of a caring human. A 3-hour flight can mean 6 hours door to door, assuming there are no airline delays. If you’re going to spend several hundred dollars for a pet travel nanny, it’s really better to just go yourself. This way, you can meet the puppy and the breeder at the point of origin. If a breeder squawks about meeting you at their “home” or at the airport, this is a big red flag. (You saw our “signs of a puppy mill” list above, right?) Walk away. Good luck in your puppy search, but try to keep it local. And if “local” means an 8-hour car trip to meet and pick up your new puppy in person, do it! Bonding with your breeder and your pet in person is the way to go. Many people are aware of overpopulation and unhealthy animals from puppy mills but don’t know how they can help. 1. If you’re considering buying a puppy from a breeder and come across any of the signs of a puppy mill, try to document or photograph the site. Then report the breeder to the local humane society, animal control office and the police department. The police department may not be properly equipped or experienced to handle the investigation and removal of the animals on its own, but the cooperation of multiple authorities will help find a solution. Many times a rescue organization will be able to help remove the animals, clean and evaluate them, and transport them to a humane society with room to hold them until a court decides they can be adopted. Follow up on your complaints, and contact the USDA if the breeder holds a license from the organization. 2. If you find a pet store still selling puppies, raise your concerns with the manager. You might be able to convince them their practice is wrong — or you might get shown the front door. Either way, it’s still important to say something. Saying nothing only ensures their practices will remain the same. Tell your family and friends about the store, ask them to complain, and contact local shelters and rescues to work together in getting needy animals in the store for adoptions. Most pet stores have stopped selling puppies and started offering only shelter or rescue pets for adoption (we wish they would all do this). While the stores still charge fees, the money is an adoption fee that helps the shelter or rescue continue to care for needy animals and is no longer a source of profit for the store. If they don’t already do this, ask them to start. 3. Veterinarians: If you have a client who brings in the same dog or multiple dogs for C-sections a little too often, it’s time to raise some concerns. You could be unknowingly helping a puppy mill to continue operating, and sometimes you may be the only person to see the continuous breeding. Another sign is a client with a lot of animals coming in with only serious injuries or ailments. Ask questions. In an ideal world, we’d be able to track down every puppy mill, shut them down, and the various animal welfare organizations could report that their work here is done. But that’s not realistic, and as long as people are motivated by money, they will use animals for profit and a source of steady revenue. We have domesticated these animals and have a responsibility to ensure they receive proper care. We are their voice — never stop questioning and speaking for them. Everyone, regardless of circumstance, is capable of joining the fight and making a difference to improve the miserable lives of the millions of helpless puppy mill animals. Pledge to never patronize a retail store that sells puppies, kittens or rabbits — even if just to buy food, toys or supplies. 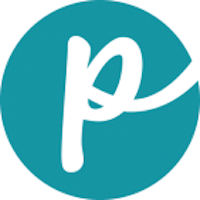 Join an advocacy group that educates consumers, publicizes abuse and campaigns for legislation. 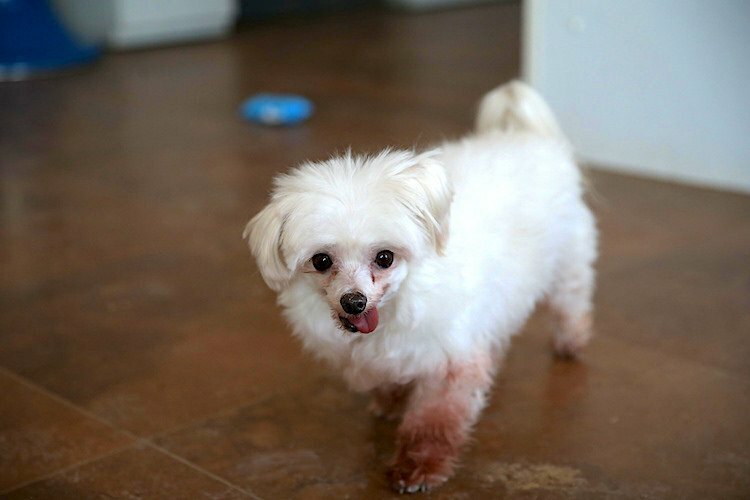 Adopt or foster a puppy mill survivor. Contribute to organizations that advocate for animal welfare with your time and/or money. Support political candidates with a strong record of animal welfare reform. Patronize those local retail stores that adopt humane pet models. 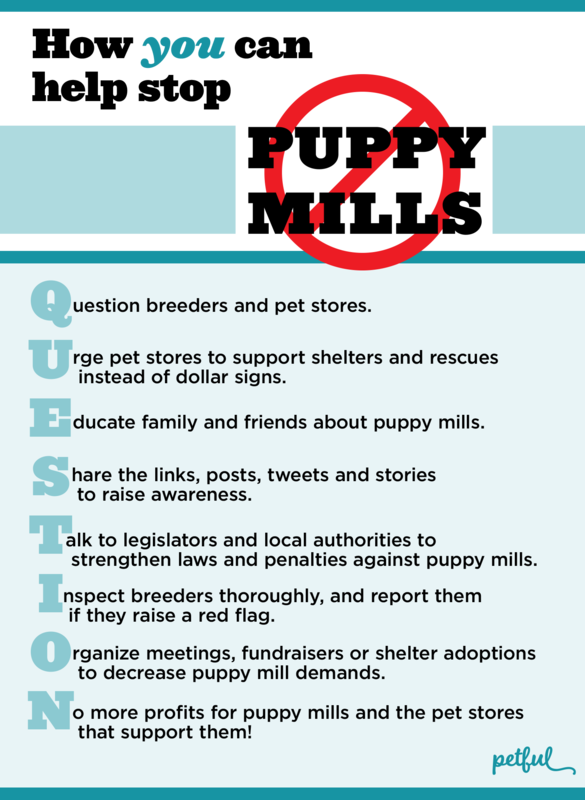 Educate your friends and family about puppy mills. You’ve decided to adopt a dog, but not just any dog. A local rescue group picks up dogs when puppy mills are shut down (yay), and you’ve decided to wait for one of those. The day comes and your dog is ready. What can you expect? The truth is, you could potentially encounter a number of puppy mill dog health and behavior problems. The first thing to realize is the environment of the puppies and dogs in puppy mills. Most often they are in small cages that may not allow them to turn around, or they are in a pen with many other dogs. They may not have had any socialization with humans other than quick handling or during transport to another area for breeding. Many times puppy mill dogs live their entire lives in small cages with wire floors. The wire allows waste to pass through for easier cleaning. You read that right — someone designed a containment method so the dogs can’t even relieve themselves somewhere else. The dogs live in filth and waste. The typical cleaning method is a pass with a pressure washer (sometimes without care for the dogs, who have been known to lose an eye to careless washing). Living in these cages prevents the dogs from experiencing different surfaces such as tile floors, carpet or even grass. In many cases they never even see the sun because they live in dark warehouses or outbuildings. As the new caregiver of a former puppy mill pet, you’ll need to be aware of these aspects in order to understand why your dog exhibits certain behaviors. 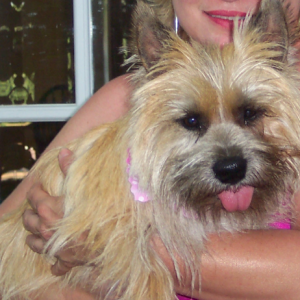 When you’re adopting a puppy mill rescue dog, assume that your dog’s former environment was a worst-case scenario. Your new pet may exhibit all of the above signs, some of them — or none at all. Being prepared and patient is the key to helping your dog relax and become accustomed to a typical home. Working with your veterinarian and a trainer (if possible) can help you find ways to work with your puppy mill dog and the issues you recognize. Remember those wire-floored cages we mentioned earlier? The dogs can have their legs fall through those, their nails may become overgrown around the wires, and a host of other problems can be caused by the absence of mobility. The dogs are fed cheap food, assuming meal times aren’t missed. Their water is dirty and can be a breeding ground for mosquitoes and algae. Waste can accumulate for days, creating the perfect environment for flies, infections and other gross things. Imagine the level of ammonia that must circulate within just one day. Sadly, many puppy mill dogs will live their entire lives like this. They even breed in these conditions. This doesn’t even scratch the surface of the other health issues your dog might have encountered. Given that there is no vet care or regular grooming, the list of afflictions is long. Despite this list of potential concerns, puppies from a puppy mill can appear as healthy and as happy as those from a responsible breeder — for a short time. Again, working closely with your vet and a trainer can greatly help your former puppy mill dog recover, heal and adjust to life outside of the nightmare from which they were saved. While this may all sound pretty horrific for the life of a dog, it happens every day. American breeders with licenses from the USDA rarely get inspected, and the care requirements are grossly inadequate. Some of these dogs have AKC-registered parents and may come with their own prestigious-looking certificate, but a piece of paper cannot replace loving and responsible breeders. If you are looking for a dog, please consider a rescue. While puppy mill rescues may offer additional challenges, consider the life-changing transformation of which you can take part. Remember: No demand = no profit for puppy mills. Below, in no particular order, is a list of some of the varied groups that are working hard to shut down puppy mills. Founded in 1866 and listed as the first humane organization in the United States, the American Society for the Prevention of Cruelty to Animals (ASPCA) operates to prevent cruelty to animals, push for stronger animal laws, and educate the public on proper animal care. The group’s pledge program asks people to commit to refusing to shop at stores that sell puppies instead of featuring adoptable animals. The ASPCA participates in puppy mill rescues, many of them large operations. Large rescue missions usually involve multiple humane societies, shelters, vets and other personnel from surrounding areas to assess and treat the dogs once they are removed from the puppy mill. Theresa Strader got an Italian Greyhound named Lily at a dog auction in Missouri. Lily had spent 7 years in a tiny cage with no vet care, decent food or human interaction. These conditions led to her being full of mammary tumors, and part of her jaw had rotted away. She was terrified of people. Strader rehabilitated her at home and taught her love, affection and the meaning of family. Lily died peacefully in May 2008. Lily’s legacy lives on with National Mill Dog Rescue, a rescue group founded by Strader in February 2007 as a nonprofit organization based in Peyton, Colorado, to help more dogs just like Lily. National Mill Dog Rescue operates on donations and has saved many thousands of dogs. The world’s largest no-kill rescue and adoption organization was started in 1944 by a group of animal lovers. North Shore Animal League America continued to grow — often faster than the funds needed to care for all the animals — and that’s when supporter Elisabeth Lewyt and her husband, Alex, stepped up to help continue the organization’s mission in a larger capacity. The organization has been rescuing puppy mill dogs for years. Since 1996, Hearts United for Animals has rescued and rehabilitated puppy mill dogs. The group educates as many people as possible about puppy mills and also created a curriculum to educate children in public schools on the basics of animal care, companionship and the issues facing puppy mill dogs. A group of family members and friends in Ohio opened up their homes to rescued toy breed dogs in 1999. A year later, WolfSpirit’s Toy Breed Puppymill Rescue received its nonprofit status, and the tight-knit network has been rescuing and rehoming ever since. Although this group mostly takes in toy breeds, it also takes in other dogs in need, such as senior pets, special needs pets and even young puppies. The group relies on donations, holds auctions with donated and handcrafted items, and attends expos when possible. It works to educate people about puppy mills and relies on a network of foster homes to find the dogs their forever homes after they’ve been rehabilitated. Veterinarian Marc Abraham (“Marc the Vet”) founded Pup Aid in 2010 in the United Kingdom. An annual, celebrity-filled Pup Aid event in London raises awareness of the horrors of “puppy farming” (as puppy mills are known in the U.K.) in a daylong, fun environment. “People needed to start asking breeders questions and stop buying dogs from the internet, newspaper ads, pet shops and backyard farms without asking to see the conditions and the puppy’s parents,” he said. This organization was formed in 2009 to put an end to puppy mill cruelty through public events, education and awareness. The Puppy Mill Project is active throughout Chicago and operates an educational program to teach students about responsible pet care and the puppy mill industry. The group also organizes walks, awareness days and other events to bring the puppy mill issue to the forefront. A team of dedicated individuals with more than 40 years of collective experience in animal rescue is the basis for the Animal Rescue Corps, founded in 2010. The organization has 3 main goals: rescue animals from abuse and disasters, educate people through public awareness of animal suffering, and train and assess professionals working in the animal care industry. The group’s efforts have drawn the attention of many, including musician Sheryl Crow, who recorded a public service announcement for the organization. With its own network of animal sanctuaries and rescue centers, the Humane Society of the United States, formed in 1954, works coast to coast for the protection of animals. 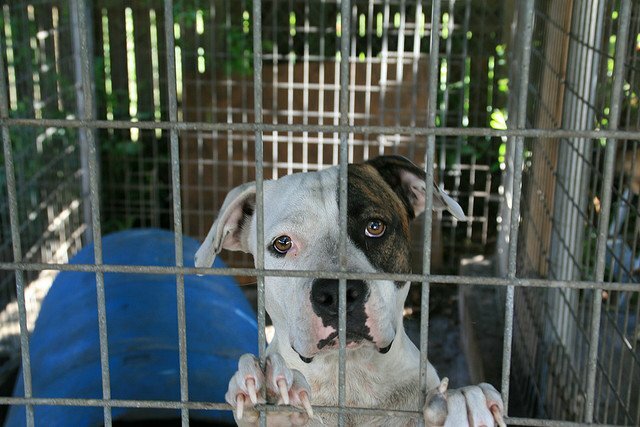 In addition to assisting with dogfighting busts, HSUS operates rescue missions for dogs in puppy mills. The group works with law enforcement to rescue, treat and adopt out the dogs to permanent homes when possible. HSUS also pushes for harsher legislation and works on educating the public on proper animal care and the horror of puppy mills. The Suncoast Animal League was founded in 2006 by Rick Chaboudy in Florida to rescue abandoned, abused, homeless and unwanted animals. 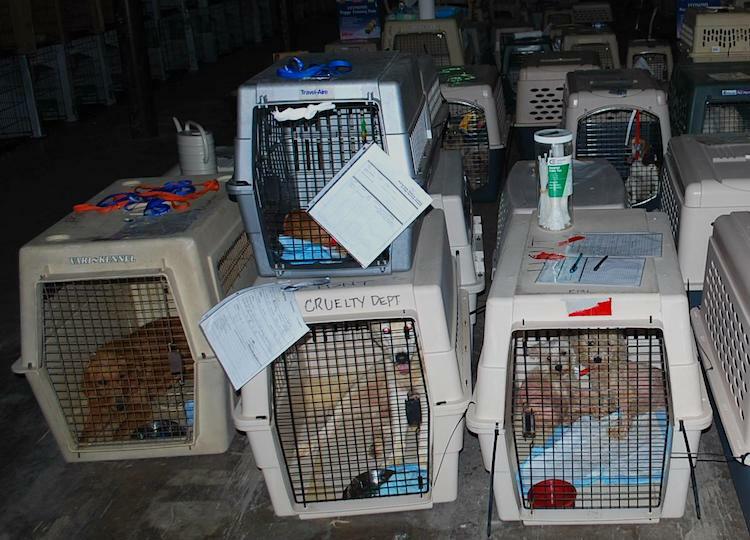 Rescue efforts have included rescuing and providing care for puppy mill dogs. Even if the group does not perform the actual rescue, it opens its doors to rescued puppy mill dogs in need from other organizations and rescue missions. 1. Avoid accidentally supporting puppy mills. An even safer option is to adopt a dog rather than buy one. You may even consider adopting a puppy mill survivor — one of the mother dogs rescued from a mill. 2. Look into laws in your region and your state. Is there room for improvement? If so, consider contacting your local government officials. 3. Join organizations that are actively trying to shut down puppy mills. You may be able to support the groups by donating or volunteering. 4. Finally, spread the word to family and friends. The best way to shut down puppy mills is through education. This expert guide to puppy mills was written by Petful editor in chief Kristine Lacoste, with contributions from a veterinarian, Dr. Debora Lichtenberg, VMD, and a former animal shelter worker, Allison Gray. Writers C.D. Watson and Jet Perreault also contributed to this article, which was last reviewed and updated Dec. 5, 2018.